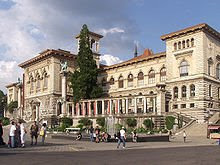 The University of Lausanne (in French: Université de Lausanne) or UNIL in Lausanne, Switzerland was founded in 1537 as a school of theology, before being made a university in 1890. Today about 10,000 students and 2200 researchers study and work at the university. Approximately 1500 international students attend the university, which has a wide curriculum including exchange programs with several American universities. Before 2005, the University applied the French education model with some minor differences. The academic degrees were the Demi-Licence, Licence, DEA / DESS, Doctorate. The University now follows the requirements of the Bologna process. Together with the Federal Institute of Technology (EPFL) the university forms a vast campus at the shores of Lake Geneva. The Academy, forerunner of the UNIL, was founded in 1537. Its vocation at that time was to train ministers for the church. The university enjoyed a certain renown due to the fact that it was the only French language Protestant school of theology. As the centuries passed, the number of faculties increased and diversified until, in 1890, the Academy received the name and status of a university. 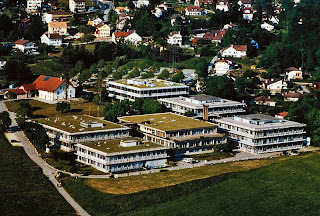 From 1970, the university moved progressively from the old centre of Lausanne, around the Cathedral and Château, to its present site at Dorigny. The end of the 20th century witnessed the beginnings of an ambitious project aiming at greater co-operation and development among the French-speaking universities of Lausanne, Geneva, and Neuchâtel, together with the EPFL. 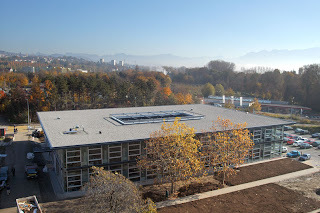 In 2003 two new faculties were founded concentrating on the life and human sciences: the Faculty of biology and medicine; and the Faculty of earth science and environment.